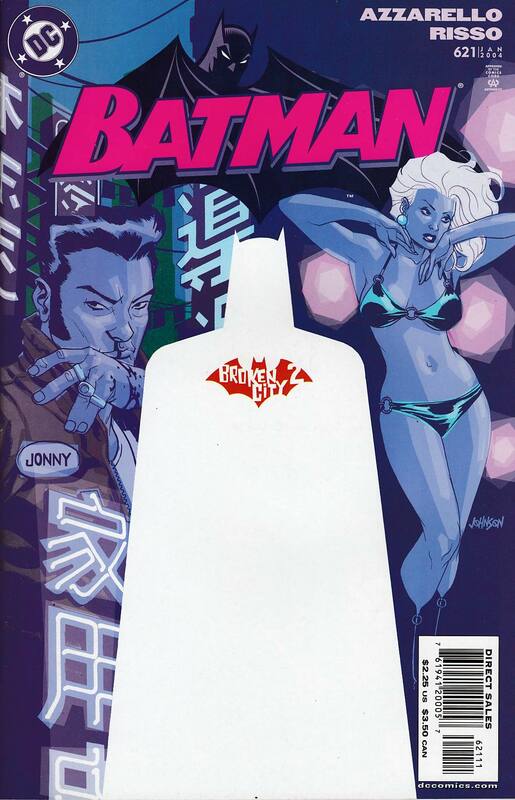 WRITTEN BY BRIAN AZZARELLO; ART BY EDUARDO RISSO; COVER BY DAVE JOHNSON. Part 2 of the 6-part "Broken City" by the creative team of 100 BULLETS! Batman continues the hunt for the man who killed a boy's parents in Gotham's underground, with the help of GOTHAM CENTRAL's Detective Crispin Allen. But as luck would have it, the Dark Knight runs into a little problem. Little problems in Gotham? Fat chance.